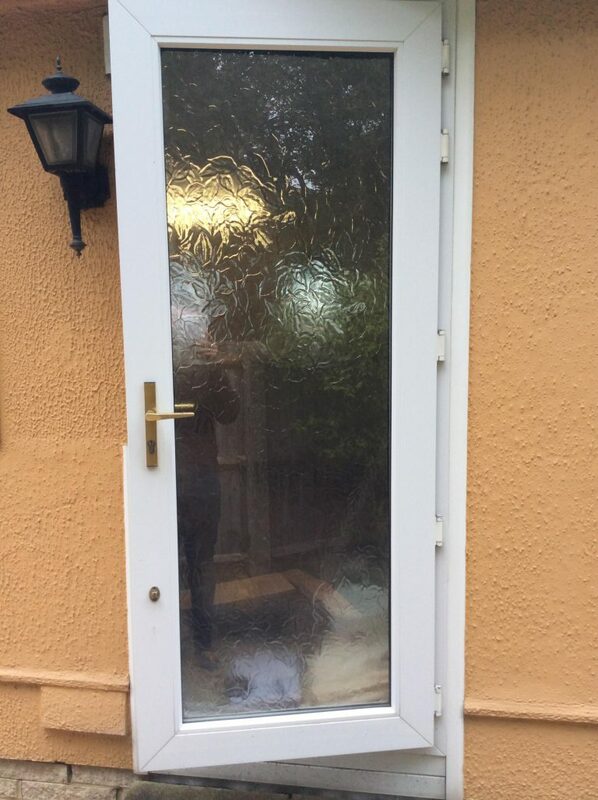 The new door has provided a warm welcome to the property with modern stainless steel door furniture and a georgian bar in the glazing that is in keeping with the rest of the property’s glazing. 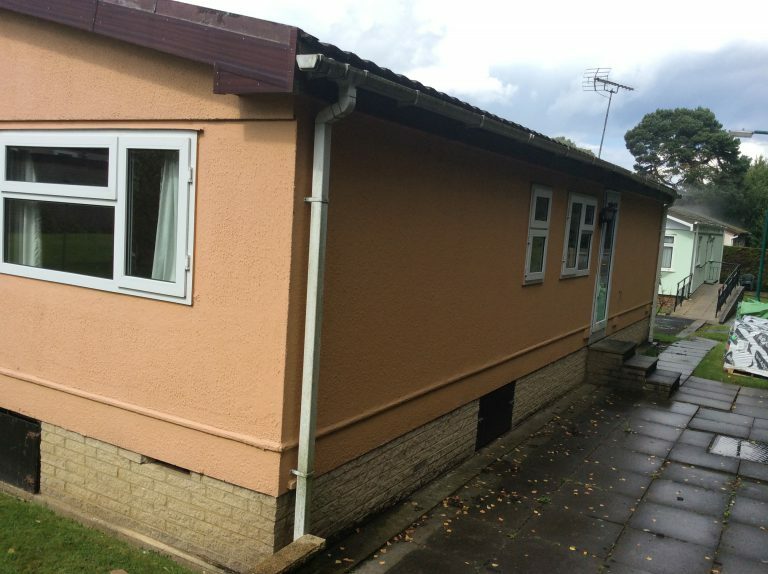 The exterior wall insulation has brightened and lifted the look and feel of the park home as well as keeping it warm in winter and cool in summer. 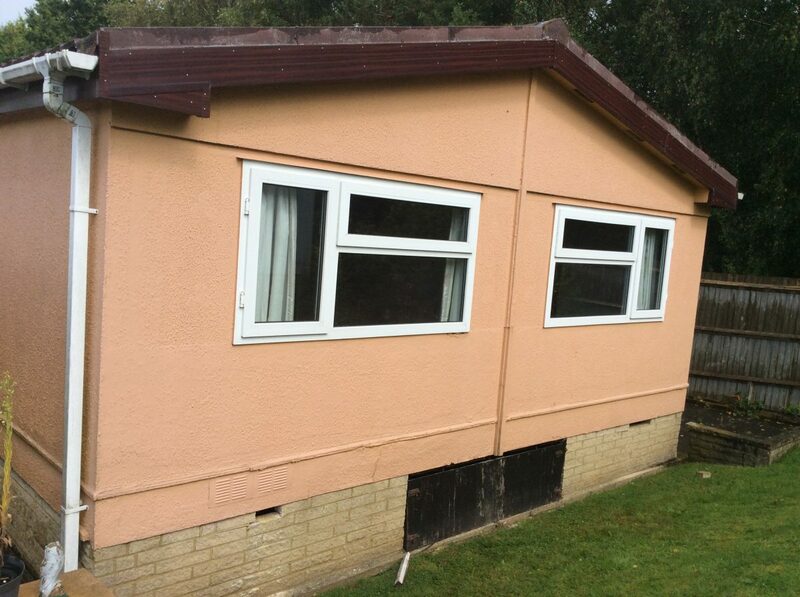 Previously, the terracotta colour was dark, as were the wooden fascia boards. 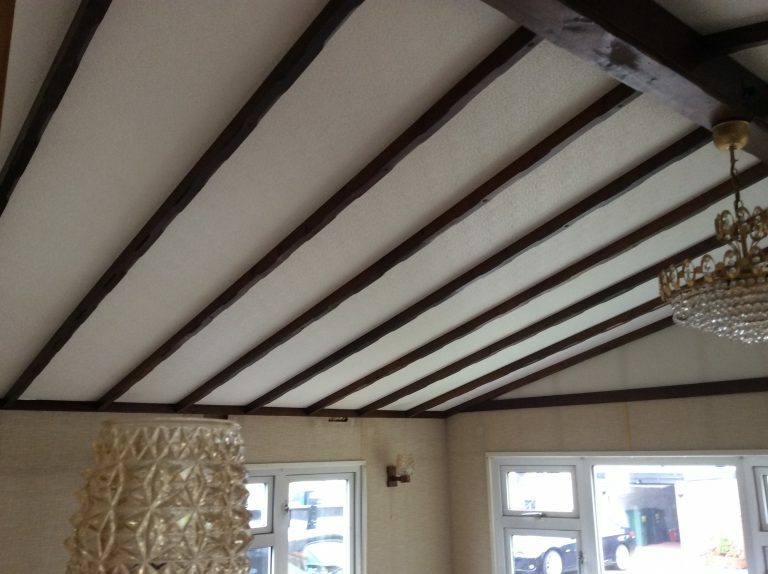 Now the smooth finish over the insulation looks great, and best of all it doesn’t require painting for 10 years! 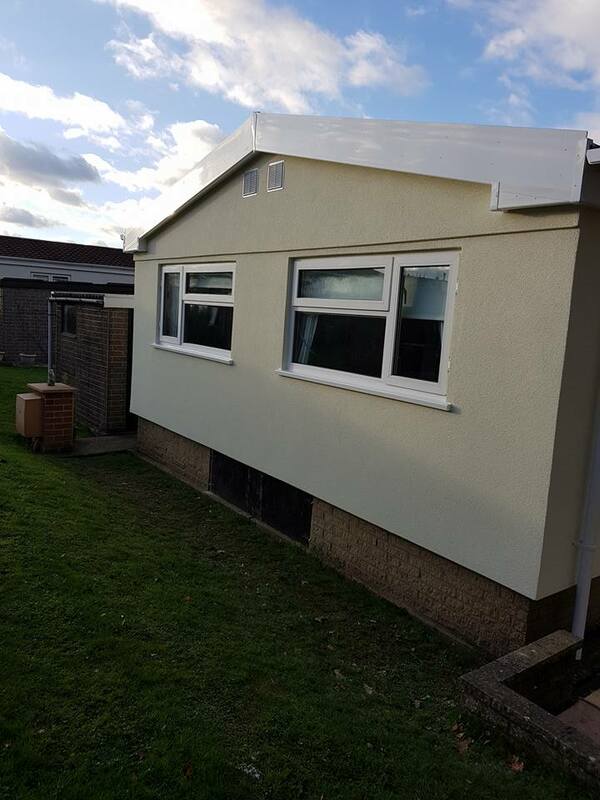 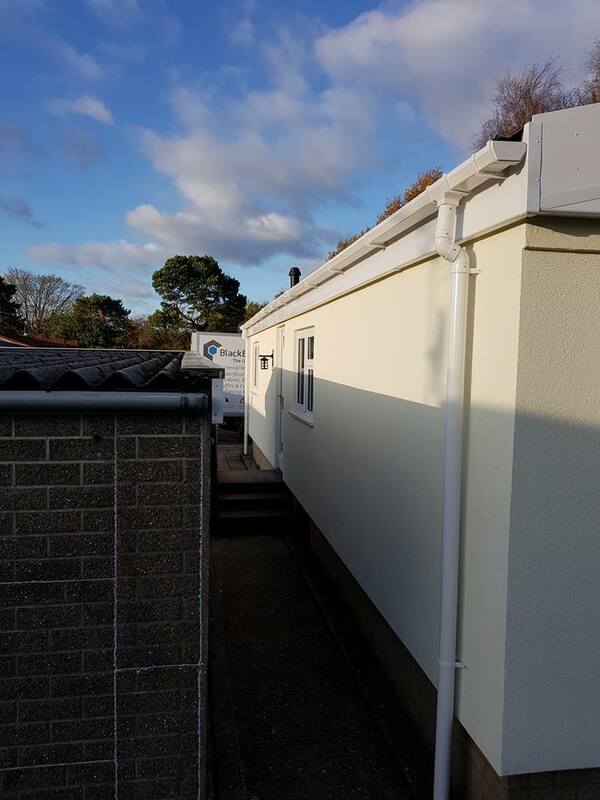 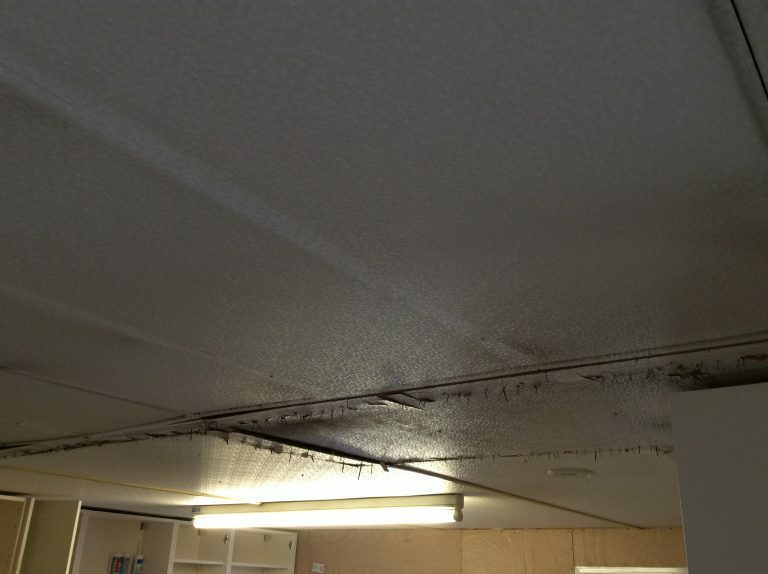 The roofline products add the finishing touch to a complete park home transformation, as well as being easy to maintain. 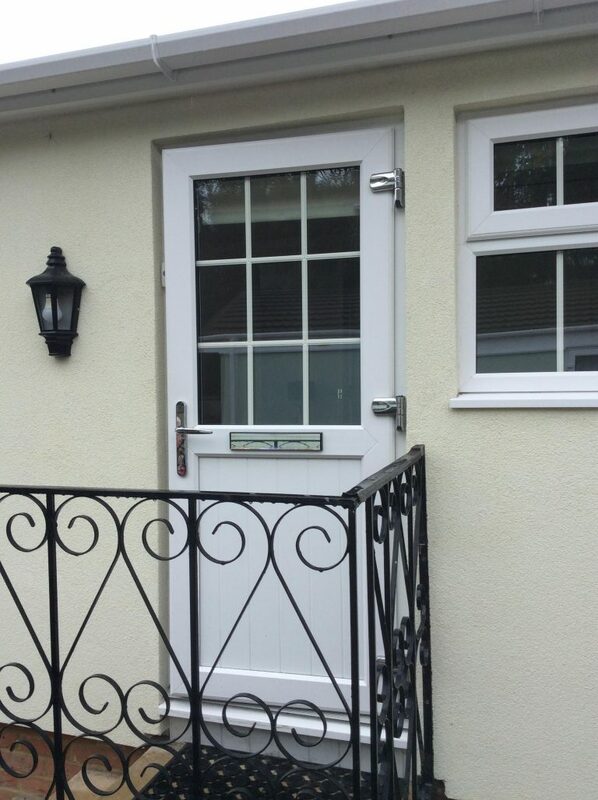 UPVC wears far better than wooden finishes and does not require painting. 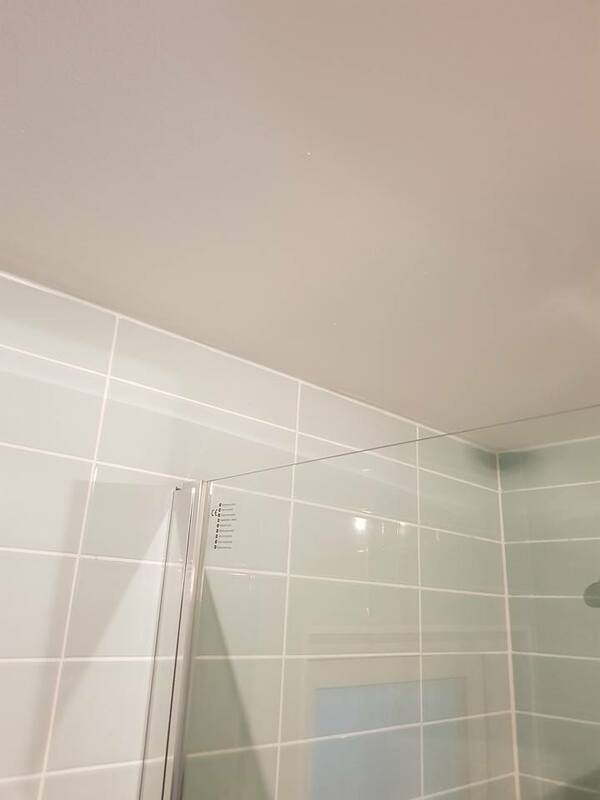 It simply requires a wash down every now and then with warm soapy water to maintain it’s glossy finish. 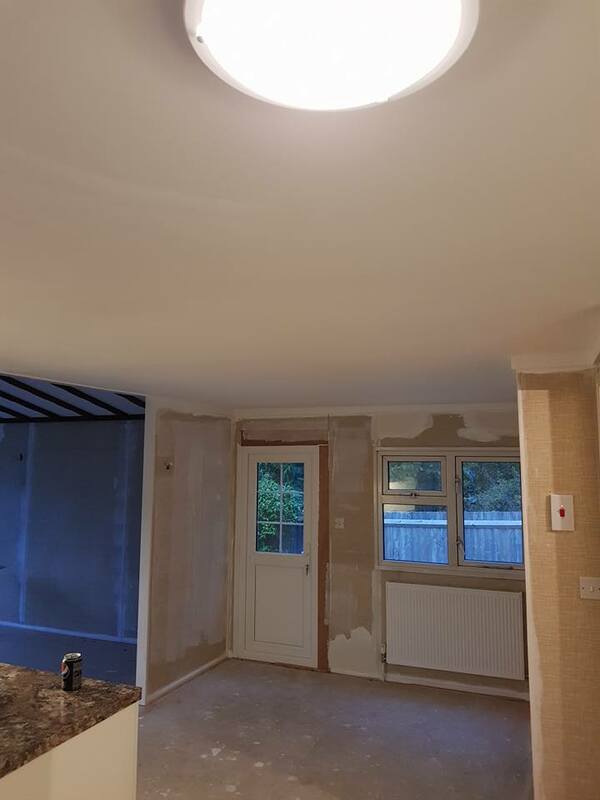 The ceiling refurbishment included making them flat and white, in keeping with the new modern look of the home. 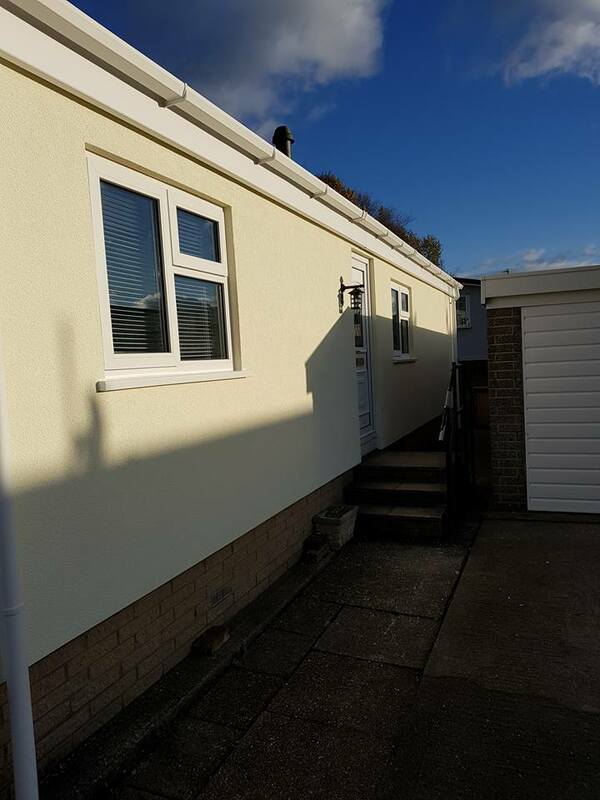 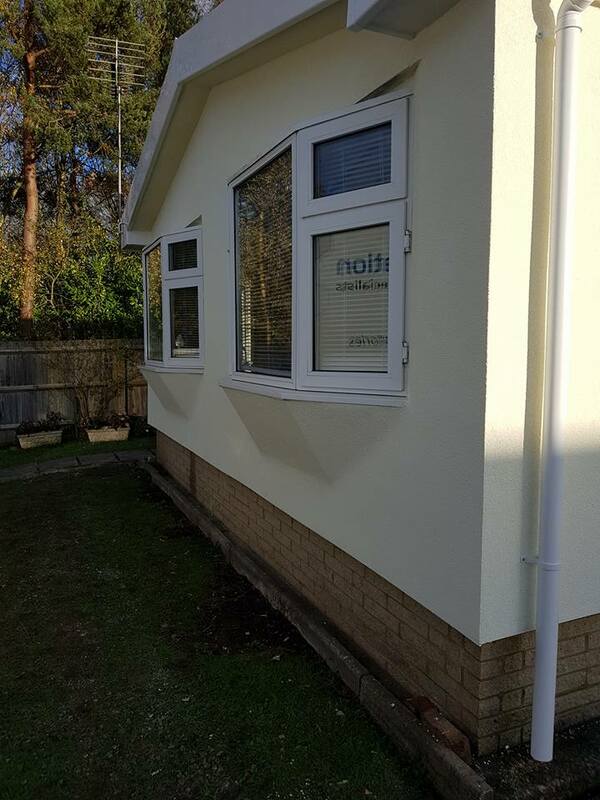 Read more about park home windows, doors and roofline products or follow us on Facebook or Twitter for the latest offers, recent projects and park home ideas.